SAVE the DATE! Spring Market is EARLY! Market is a week early this year, so make sure you mark your calendars - our OPENING DAY is Wednesday APRIL 3rd, at our 314 W Russell Ave location in High Point, North Carolina… timed in conjunction, as always, with the High Point Market. 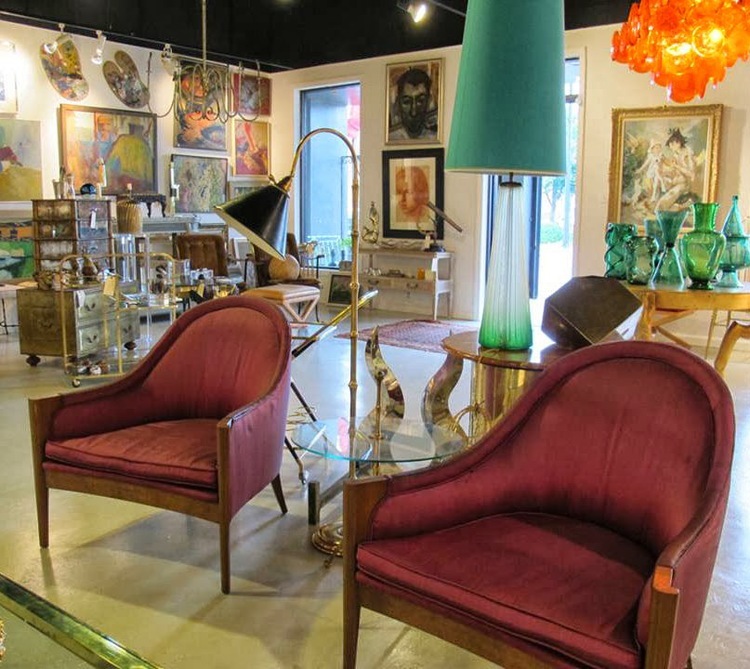 One week of amazing finds from 9 dealers in antiques & vintage, packed to the gills… plenty of parking on-sight with shippers at hand to help you get all of your favorite pieces home. See you sooner than later!! The Spring show dates are April 16th- April 20th.. as always we open a day earlier so be there bright and early on THURSDAY, APRIL 14th! Earlier this year saw the grand opening of the Spectator Hotel in Charleston... a project years in the making & beautifully executed by interior designer Jenny Keenan. Our own Lewis Trimble played a particularly visible roll- that of sourcing, supplying & delivering the huge Murano crystal chandelier that graces the hotel lobby. This massive chandelier, comprised of nearly 2,000 crystals, was custom made in Italy. Lewis spoke directly with the artisans and fabricators to have this piece made to Jenny and her team's specifications. The end result is spectacular, and the impact it makes appears to be worth the effort! photo via the Spectator's website. We hope to make it Charleston to see it in person soon, as well as to check out the bar & the much-talked-about cocktails. Jenny also used many vintage touches in the details of the hotel, and that is something we support wholeheartedly! Look around on the bookshelves and tabletops; many of the deco-inspired pieces came from yours truly. It then briefly graced 214 before finding a home with a well known mid western interior design star. 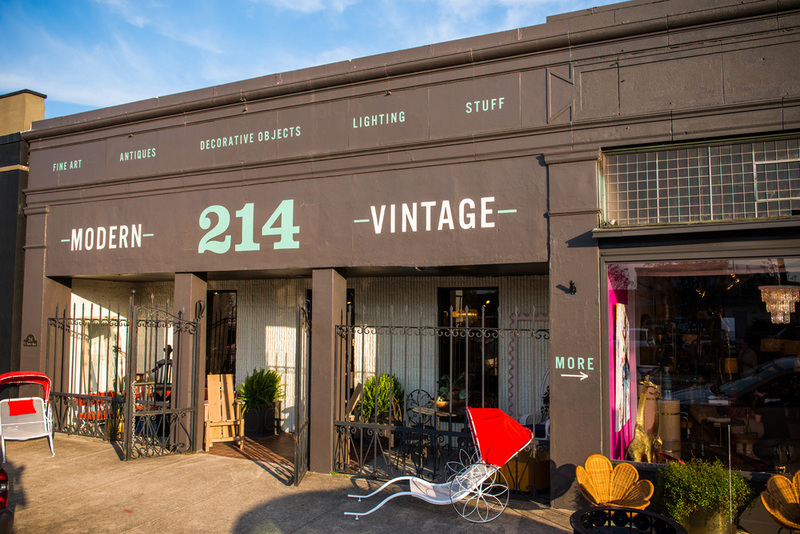 Our dealer's go out of their way to bring the best to 214 Modern Vintage. And if we don't have it, we will call our friends in Italy and have them make it for you! 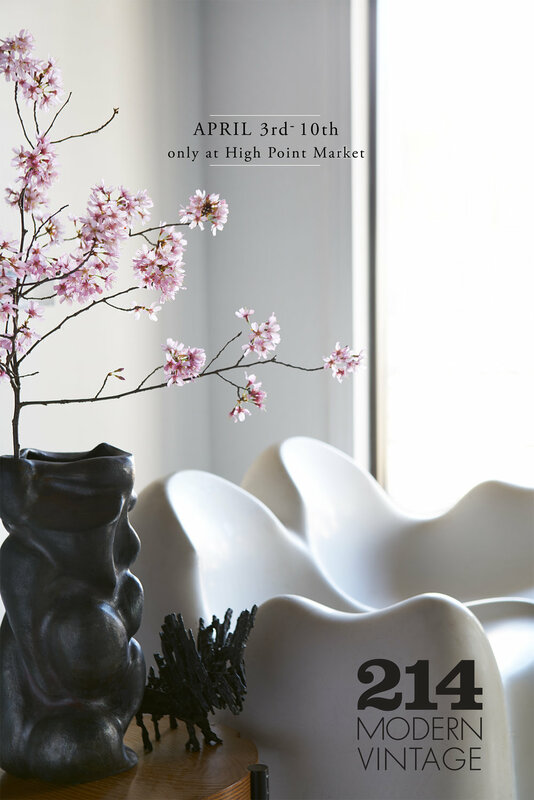 Getting ready for a fresh crop of merchandise for the Fall 15 High Point Market made us nostalgic for all of the amazing finds our dealers have brought to 214 over the last couple of years. Here's a recap!